Nani will be working with Vikram Kumar very soon. The announcement has been made. The shooting of the film will commence from February 19. A poster was released today with all these details. 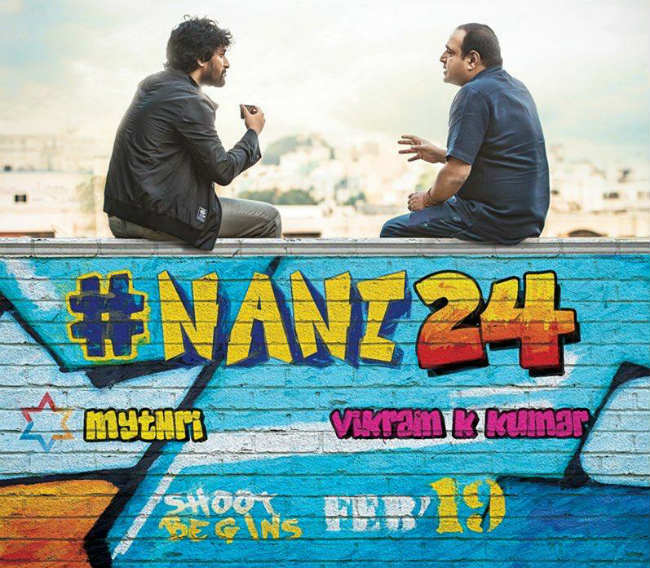 We can see Nani sipping tea while having a conversation with Vikram Kumar in the poster. Nani is currently busy with the film Jersey. He will wrap it by February. Vikram Kumar has pinned lots of hopes on this film as his earlier film had flopped. Mythri Movie Makers are producing this movie.